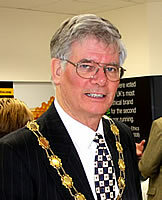 The Evening Reception of Tuesday, 30th March when the Mayor, Councillor Richard D'Arcy spoke was a rousing occasion which impressed us all. 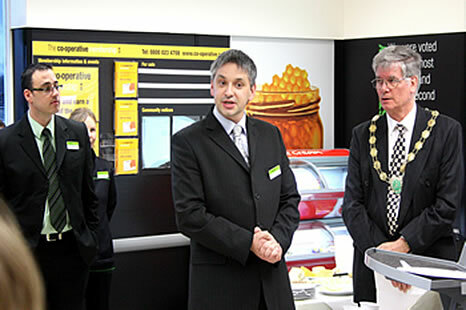 With cheese, juice and Fair Trade wine on hand guests wandered around the gleaming store to admire its new layout, wide choice of products and clean attractive Co-operative branding. The enthusiasm of everyone involved from senior management to newly hired sales staff was evident and clearly what we saw was the culmination of a great deal of hard work, not to mention a roller-coaster of a legal ride for the actual final agreements were only signed two weeks ago. We were also treated to a genuinle interesting video which introduced us to the whole co-operative approach which makes the Co-operative different in the way it runs its business. It is owned by its members and shares its profits with them and is open for anyone to join. It also provides a wide range of services that go beyond selling food to embrace banking, travel, funeral and financial services as well as retail. It was explained that the new store does not pretend to be a mass supermarket, but rather a large and well-supplied convenience store, there to be easily available to anyone shopping in the centre of Wincanton while also able to provide real value for money. 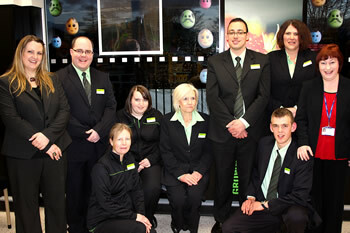 This up and down the country is what the Co-operative's stores set out to do. Clearly they have been doing this well for they have been growing steadily. 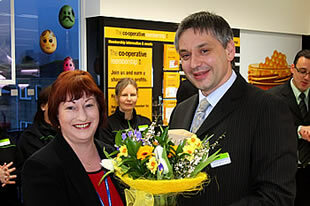 One can only wish them well not only for the Co-operative but for the future vitality of the town. Our Mayor, Richard D'Arcy in his welcoming speech had this to say, "We are here today to celebrate the advent of a new co-operative retail outlet. This Group has invested a considerable sum of money in acquiring this store, and transforming its interior, into what we see today. 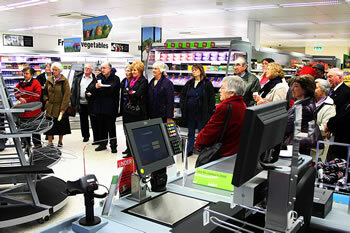 "This decision could not have been taken lightly by the Co-operative Group. Especially during a period of economic uncertainty, in which many businesses are experiencing difficult trading conditions. Our community, visitors and surrounding district can only benefit from this decision and experience the benefits of a national store, just off our high street. "I believe such a decision has demonstrated commitment to our town, for which the group should be applauded." Operations Manager Jason Webster and Branch Manager Chris Griffith with Councillor Richard D'Arcy. 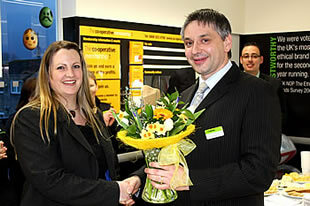 Flowers for Amber Dobbs, Human Resources Manager and Linda Evans, Refit Co-ordinator.